The HSE is getting a “steady return” of contracts from GPs applying to provide a medical abortion service from January, it was claimed yesterday. A HSE spokeswoman said the “number is increasing on a daily basis”. It is still unclear how many GPs will be ready to deliver the service from the start of next month, but potentially several hundred may have signed up. It means some women seeking an abortion will have to travel some distance within the country, but the service will be free. The HSE spokeswoman said the HSE, in collaboration with the Department of Health, is implementing the work plan for the service. More work was done yesterday by GP and obstetric bodies on the drawing up of draft clinical guidelines. These are essential to provide direction to GPs and maternity hospitals on the safe steps needed in the care of the woman. GPs who returned an expression of interest in delivering the service in recent weeks are being urged to send back a signed contract by tomorrow. This would allow the HSE to send them an information pack as well as important details of where they would secure the medication needed for medical abortion. It will be up to the GP to dispense the two medications to the patient. However, it all depends on the legislation being passed in time before the Christmas recess and the debate resumes in the Seanad today. Groups of doctors are now gathering at training meetings to learn about the safest way of providing a medical abortion. There will be a group of GPs and obstetricians meeting tonight in Dublin to get tuition on medical abortion. Several GPs who are pro-choice will hold off until they are satisfied all supports are guaranteed, including access to ultrasound. 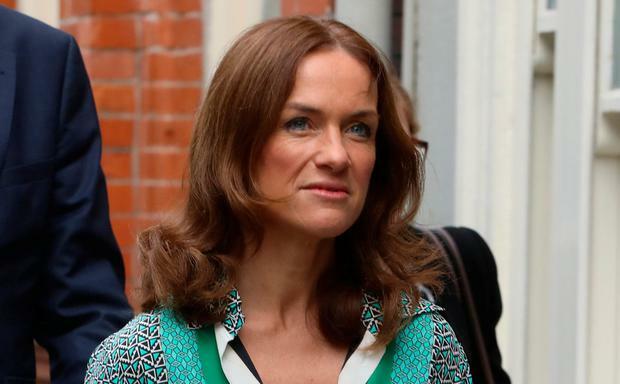 It is still unclear how many maternity hospitals will be ready to participate from early January but Dr Rhona Mahony of the National Maternity Hospital said her hospital will provide terminations for fatal foetal abnormalities from January 1. The correspondence from the HSE to GPs who have returned an expression of interest states that “if you could return your contractor details and acceptance form on or before Friday, December 14, it would be greatly appreciated”. The correspondence states that this will allow “the HSE to provide you with the stock order forms for this service so that you can order the medicines from your community pharmacy of choice in advance of the commencement of the service”. It adds that the “HSE will also be in a position to provide you with relevant literature and information material”. Updated 2017 abortion statistics for England and Wales from the UK’s Department of Health show the number of terminations there for women who travelled from the Republic fell last year. This is in contrast to UK abortion rates which are at their highest level since 2008, with a sharp 4pc rise on the previous year. There were 3,092 abortions among women from the Republic in the UK last year, compared to more than 6,000 in the previous decade. The Marie Stopes organisation said the adjusted figures show the numbers of abortions are at their highest since 2008. “This is at a time when thousands of women are struggling to access contraceptive and sexual health services,” said its medical director, Imogen Stephens.